I hope y’all are having a good weekend. And in the off chance you need some weekend reading I’ve got another carnival for you. Here’s a wide collection of posts from across the PF blogosphere. Enjoy. 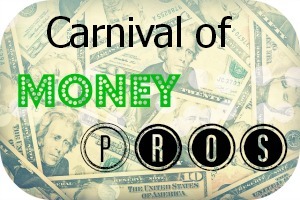 FYI: The Carnival of Money Pros is brought to you to by the Money Pros Team, and you can submit articles at Blogger Carnivals. Wayne @ Young Family Finance writes Get to Know Your Health Insurance Acronyms – ACA, HMO, PPO, HCSA — what do they all mean? We provide some explanations for those tricky health insurance acronyms. Read here. Dominique Brown @ YourFinancesSimplified writes Rich People Are from Mars and the Rest of Us Are from Venus – If you believe for one second that rich people don’t think differently, I challenge you to name for me just one multi-million dollar lottery winner from 20 years ago that isn’t dead broke. Simply having a fortune fall into your lap does not guarantee continued wealth for you or your progeny. Kyle @ The Penny Hoarder writes A Fun and Low-Cost Business: Selling at Flea Markets – You might be surprised how easy it is to launch a business as a flea market vendor. It’s a surprisingly fun way to make some extra cash on the weekend. Hank @ Money Q&A writes Why Extended Warranties Are A Waste Of Money – Retailers are pushing extended warranties with more fervor than ever, and consumers are buying. But in almost every case, they are a bad deal. Find out why! 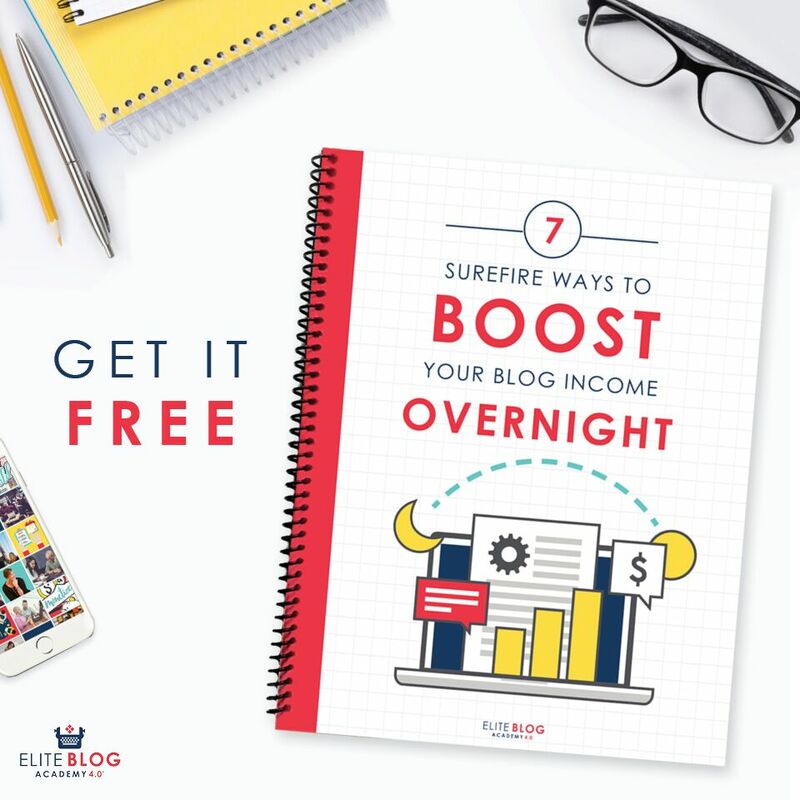 CAPI @ Creating a Passive Income writes Give Up the Rat Race: Making Money Working from Home – Even those that are lucky enough to have jobs that are interesting and fulfilling, often wrestle with many of the complications that come with going to work. SBB @ Simple Budget Blog writes Budget Boost: Sell or Swap Your Stuff to Help Your Budget – Need a financial boost? Here are some sites that allow you to sell or trade your current stuff for cash or other items. Don @ MoneySmartGuides writes How Important Is Your Will For The Future Of Your Family – Having a will is important so that when you pass, you know your assets are staying with your family and not going to the state. Don @ Money Reasons writes American Airlines Miles Credit Card seems like a Great Air Miles Reward Credit Card – I’m at a point in my life where I’m considering flying more, but I want to do so frugally. IMB @ Investing Money writes Investing in Small Cap Stocks – Small cap stocks are defined as having a Market Cap of between $250,000 and $2 billion. Considering investing? Read here for more information. Debt Guru @ Debt Free Blog writes Dangerous Pets: Why It Affects You and Your Insurance – Some dogs will always be discriminated against. They can cause your insurance to void your policy, in some cases. Read for more information. Ted Jenkin @ Your Smart Money Moves writes Who Will Take Care Of Your Aging Parents? – Generation X will have its first official fifty year old group next year. Irfan @ Everything About Investment writes Top 20 Warren Buffett Investing Quotes of all time. – Warren Buffett, the fourth richest person in the world with net worth of $65 billion and arguably the world’s greatest investor. Whenever you hear Warren Buffett speak or read his annual letters to shareholders of Berkshire Hathaway, you can always take away a few words of wisdom. The legendary investor’s message is simple, you don’t need to be a rocket scientist not you need to have high IQ to be a successful investor. Mr. 4HWD @ The Four Hour Work Day writes Making Time for Self Improvement – Good money management habits tell us we need to “pay ourselves first.” This means that when we receive income, our first priority should be in making contributions to our savings and investment accounts. Jerry @ Repaid.org writes What to Know about a 529 College Savings Plan – If you are asking yourself what a 529 plan is, you are not alone. In fact, it may be the best way to prepare for your child’s college years. Cat @ Budget Blonde writes My First Viral Blog Post – The legendary blogger Jon Morrow describes a viral blog post as one that has been shared more than 1,000 times. Sam @ The New Business Blog writes Small Advertising Budget? Pay-Per-Click is the Answer – With pay per click advertising, you can run a successful, highly measured advertising program that delivers an excellent ROI. Justin Kavanagh @ Justin Kavanagh Fitness – Burn Fat Build Muscle & Get Lean writes Procrastination and Exercise – A solution for “I’ll do it tomorrow” – Have you ever said “I’ll do my workout tomorrow” and when tomorrow does arrive you’re just sitting around or doing something else completely different? Thomas @ i need money ASAP! writes Earn Money Online Fast With Clickworker – Lots of people are looking for ways to earn money online fast. If you want to earn money online fast then I’ve got a great site for you that pays between $8-$10 per hour and will pay out after just $1 in earnings. Harry Campbell @ Your PF Pro writes Reader Question: How Can I Invest in Stocks? – So I have a financial question and if you already have an article about it I apologize, send my way! Do you have some of your money in aggressive stocks? If so which ones and how much? I’ve obviously been able to save money and it’s not making money sitting in the bank. I don’t want to invest in real estate yet but want to with stocks. Any advice would be amazing. Thank you!! Hayley @ Disease Called Debt writes Are you a Debt Free Wannabe or Debt Freedom Achiever? – Many people (myself included not so long ago) spend a lot of time hoping and dreaming about finally getting rid of their debt for good without actually doing all that much about it. Actually wanting to get out debt unfortunately doesn’t mean that you WILL get out of debt. This post will inspire you to start taking action to clear your debts. Erastus @ Sprout Wealth writes Want to Make More Money? Stop Making Excuses! – We all want to make more money but it can be easy to allow excuses to get in our way. Making excuses, on many levels, is one that is going to struggle at growing wealth. Time is against us, so the time to start making more money is now! The Shrike @ The Shrike’s Domain writes What I Learned About Money From Selling Drugs – Various things I picked up in the few years I was known to dabble in you-know-what. Mr. TMT @ The Money Template writes How To Plan A Wedding On A Small Budget and Make It Work – Weddings are special occasions that deserve to be celebrated with all fanfare. The economic situation of today makes it difficult for brides to make their wedding dreams a reality. Megan @ Counting My Pennies writes Where Does Your Paycheck Go? – A friend recently got a new job and was trying to estimate her take home pay. I told her it would be around 65% of her gross income – I was wrong. Here’s how much of my paycheck I actually take home. Alexa @ Everybody Loves Your Money writes Why You Shouldn’t Listen to Dave Ramsey – In the world of personal finance Dave Ramsey is made out to be a God. But here’s the thing, he’s changed A LOT over the past few years. Here’s why you shouldn’t listen to Dave Ramsey. Mr.CBB @ canadian budget binder writes is there such thing as healthy debt? – When does owing money become healthy debt or unhealthy debt? When will you be debt free? Can you handle having debt? What does handling debt mean? These questions and many more can only be answered by… you! Gretchen @ Retired by 40! writes The Importance of Budgeting for “Fun Money” – Our budget is tight yes, but we still need to feel in control. The solution: budgeting just a bit for fun money! Mario @ Debt BLAG writes Do student loans affect my credit score? – Your credit score affects plenty of aspects of your life; how does having and paying off student loans affect it? Hi Alexa,I hope you have a good weekend too! We went to our relative’s house because my uncle just arrived from abroad and it’s been 3 years since we saw him. Thanks for including my link as well! I just got started with this blogging carnival thing and I am already seeing some traffic from it. I’ll be sure to post a link to your site as well. Would you be interested in letting me guest post to your site? a password that many is terribly difficult which will guess. Some make it possible to desk software is actually complicated. That may the first step. Great articles, was especially interested in the article from the RideshareGuy. Making money driving with Lyft and Uber is about as close as it comes to passive income, the hours are super flexible and you get to drive around in the comfort of your car. I’m glad that you included the article from the ride share guy blog. He has a lot of useful information for Uber drivers, and when I applied I used his Uber driver promo code for a sign up bonus. A great way to save money is to use uber or lyft to get around if interested promo code VIP will give you 50 dollars towards your frist ride!